I love Shalimar and the intoxicating effect is has on me; it stands out in my collection as a classic and revered masterpiece. So when I reached down in my big bag of untested samples and saw the sample of Shalimar Souffle de Parfum I immediately thought to myself that I was going to hate it. I admit, that I was being prejudicial prior to testing this, but the words “souffle” and “Shalimar” together had me very concerned. Shalimar is delightfully refined and adult…I am wondering if this new flanker was mean to bring the kiddies into the big time…maybe like the perfumed Joe Camel?! WHAT I SMELL: Tangy lemon and then a buttered orange creme that’s surprisingly rich, lush, gourmand and inviting. I like the fact that there’s a sweetness about the opening that is rooted in the lemon, but without a high dosage of sugar. There’s also a wonderful shimmering hue that makes the fragrance sparkle. After around 10 minutes the jasmine takes center stage, it’s clean and fresh and topped by the citrus. I have to say that the fragrance thus far feels like a big chemical concoction. However, in this case, that’s not a bad thing. After another 5 minutes, Souffle (as I’ll call it from here out) starts to grown in projection. There’s a creaminess that comes forward combined with vanilla that makes the perfume feel like a cross between an egg custard and a Peep. 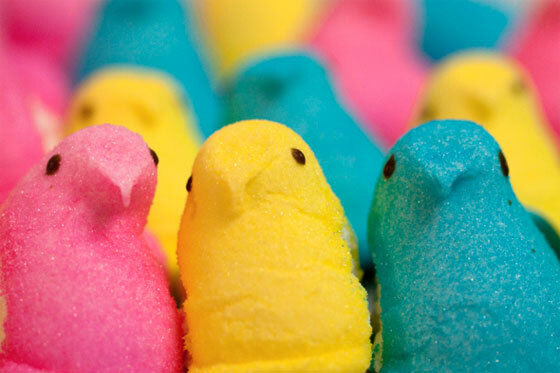 The white musk adds a dryer sheet effect to the perfume which again, I feel like the combination of the Peeps, dryer sheets, etc. should make this a wreck. Well, it’s not. It’s just a flanker that is targeted to a younger audience and in that case, I would say that it works. In the end, Souffle is a lemony tart souffle that’s bright and sunny. inspired by a fabulous Indian love story, Jacques Guerlain created the legendary Shalimar perfume in 1925. Now, Thierry Wasser has breathed new life into this legendary perfume, taking it to the heights of sensuality. A luminous, modern creation with notes of jasmine, vanilla and white musk. 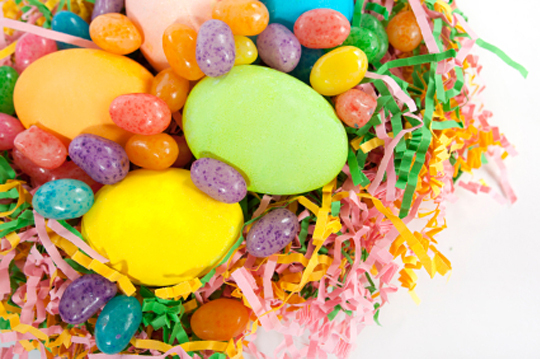 WHAT IT SMELLS LIKE TO ME: An Easter basket. BOTTOM LINE: If you remove yourself from trying to compare this to the original Shalimar you’ll find that this is a nice light treat that’s perfect for a younger audience. And I have to say that the name fits perfectly…this is a souffle of a perfume! Categories: Guerlain | Tags: 3 bones, EDP, fragrance, Guerlain, oriental floral, parfum, Perfume, Perfume Review, review, Shalimar, Shalimar Souffle de Parfum | Permalink. That was a nice review of this. I’ve got a sample buried somewhere too that I’ve been too wimpy to try because like you I LOVE Shalimar and I’ve also read a few unkind reviews. I think I’ll give it a go and relax expectations. They key is separating yourself from “Shalimar”. If you can do that, then you can experience it for just what it is, a fluff of a perfume. Actually, I really generally hate sweet, young, potent perfumes…it says alot that I didn’t mind it all that much. Like many Shalimar fan, I have a tendency to dismiss its flankers and that has been the case with Souffle… One of the biggest problems for me with this one is its name. Maybe I’m just being grumpy but it’s soooo not Shalimar. Love the bottle though. We all tend to dismiss flankers as they just seem to be a way to make money off the original which is typically the best (of course, not always the case as in the case of A*Men Pure Havane which I believe is better than the original)…but this is commerce and not art. And I guess we should be thankful that Guerlain is still in business after all these years! 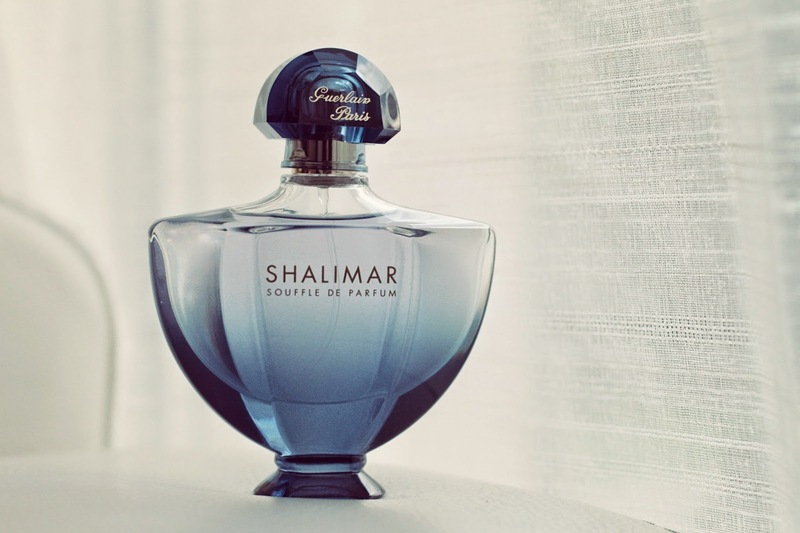 Shalimar like many of the old school perfumes are an acquired taste. I still have not managed to find a love for Mitsouko. It’s not a bad perfume and if they just called it Souffle I’d be okay with it. It’s no Shalimar. I won’t be buying it anytime soon but I would be okay if I were stuck in an elevator and someone had this on. It’s great for a younger crowd but even then I can’t see it as an intro to Shalimar scent. Maybe I’m just all flankered out. i would never buy it either, but I would like sniffing this on someone else I think. It would be a nice perfume for a budding perfumista. What a cute bottle! And it’s blue. Since I’m not a Shalimar fan, how bad can it be for me? 🙂 I should definitely try it! Hmmmm, let me know your thoughts, because I think this might be a bit young for you… but maybe I’m wrong?? !